The Fellowship was fortunate enough to obtain a copy of PENNY DREADFUL #1 from Titan Comics (and Showtime Networks). Krysty Wilson-Cairns writes, Louie De Martinis draws and colors, and Simon Bowland letters. The master has sent Mina to bid Vanessa to come to her. Vanessa knows not to go alone, so she recruits Sir Malcolm to aid her – or to aid Mina, really. They travel to the estate, encountering wolves along the way, where there should be none. In the house they are attacked by demons, and are rescued by none other than Jonathan Harker, Mina’s husband. This series is essentially a prequel to the popular SHOWTIME show, and is written by the show’s writers. It gives us a story from Vanessa’s past, and we also get a glimpse of her abilities. But we also get to see some detail on how the show (or the setting, at least) handles vampires, which works rather well in a series like this. The story doesn’t waste a lot of time (or page space) on established characters, but gives us enough to hold our interest. And the art is amazing, with eerie backgrounds and beautiful close-ups. I admit that I know of the show, but haven’t watched it. This first issue is certainly enough, though, to interest me in rectifying that situation. I’m hooked, and I think you will be too. 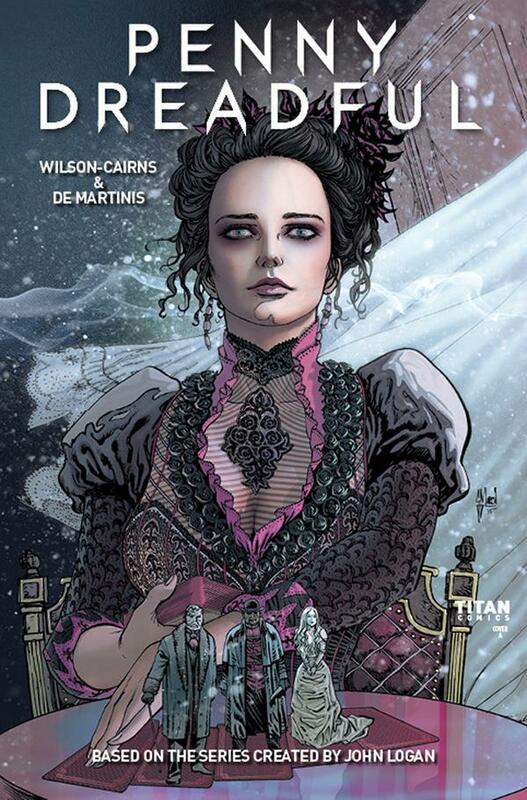 PENNY DREADFUL #1 is available now at your FLCS or at titan-comics.com.